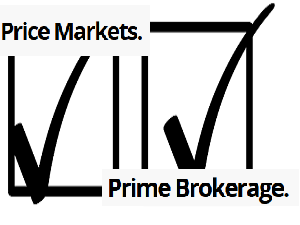 Will Price Markets/Prime Brokerage Get Me Broke? That’s a tough question to answer. At first, I got really confused by their website (heck, I even got confused by their name; what is it – Price Markets or Prime Brokerage?) and the longer time I spent on their website, the more confused I got. Their minimum deposit is 500 USD but on another page they say it’s 25,000 USD and somewhere else they say the minimum is 10,000 USD for screen trading and 20,000 for API  (huh?). If you want to know the methods of depositing you have to contact your Account Manager… but how do I get an Account Manager if I don’t have an account? And why wouldn’t you tell me how to deposit right on the website? Why can’t I find anything online about this broker? Why on earnforex.com they appear as being owned by London Capital Group Ltd  but on their website they say “Price Markets Prime Brokerage is a trading name of Velocity Trade International”? Why forexpeacearmy.com doesn’t have a review on them and nobody even mentions them there? 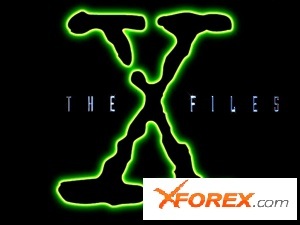 Why on myfxbook.com they have a zero rating out of 5 and again, nobody discusses anything about them ? See? I am confused and confusion often leads to bad decisions. Take your time, spend as long as necessary on their website, and contact their Support to ask all the necessary questions. Scalping is not allowed so make sure you ask them what is (in their view) the difference between a scalping trade and a non scalp. They offer a wide variety of trading platforms. Most of these are very complex so make sure you either opt for a platform you are familiar with or learn all the ins and outs of the platform you are going to trade on. They are mainly focused on institutional investors so the retail segment is likely to be slightly overlooked or treated with less importance. Of course, I could be wrong, but if I am not, it means you should probably look for a brokerage that takes better care of retail customers. If you decide to deposit with this broker, at least make regular withdrawals. Editor’s Note – Is Price Markets/Prime Brokerage A Scam? This brokerage is a trading name of Velocity Trade International, which is a company authorized and regulated by the British Financial Conduct Authority under number 497263 . When it comes to financial watchdogs the FCA is as fearsome as they come so I don’t believe that such a reputable authority would let a scam operate. That being said, I am still worried why there is contradicting information online about this brokerage and why there are so few user reviews. Bottom line: use caution. Would I Trade With Price Markets/Prime Brokerage? Nah… I don’t understand what they are offering. Are they a retail broker, a liquidity provider, or a brokerage for institutional investors? Velocity Trade International also operates velocitytrade.com, which is focused on institutional Margin FX trading so then what’s the point of offering similar service through Price Markets/Prime Brokerage… I am now more confused than when I started this review. Maybe it’s just me, but I stay away from brokerages that make it too hard for me understand what they are offering. But don’t mind me, I’m not too bright. One of the directors of this Firm comes from criminal background: money laundery, extortion, tax avasion, other financial crimes. FCA indeed is doing a very poor job finding the necessary info. One of the directors owns majority of the shares, the rest is owned by a very fishy organization in Kuwait.